The previous post discusses the definition of financial inclusion and strategies taken by TerraPay on how to solve financial inclusion. The discussion focuses on the interview between Thomas C. Brown and Ambar Sur, the CEO of TerraPay. Financial inclusion deals with the condition, in which even poor people have access to financial services. Ambar Sur noted that some progresses have been made. However, there are still many things to do. Here is why. Ambar Sur notes that TerraPay offers easy sign-up features. Even a new user can easily use it. However, ensuring the users to keep the money in the wallet and use it for financial service is a different case. He notes some problems, including financial illiteracy, lack of understanding on the concept of digital wallet, and lack of trust in the digital wallet system. This works for the users, who are mostly more financially literate than receivers. This particularly true in emerging markets like the Middle East, Africa, and Indonesia. The senders benefit from some features like low-cost transactions, immediate services, and trusted services. TerraPay achieves these goals by collaborating with reputable institutions. Few problems faced by the wallet operators center mostly on the difficulty to retain the fund in the wallet. To encourage the users to retain the fund, wall operator makes the transactions free. However, it charges the users for cash-out. Encouraging the use of digital wallet for financial services is one of the ways on how to solve financial inclusion. 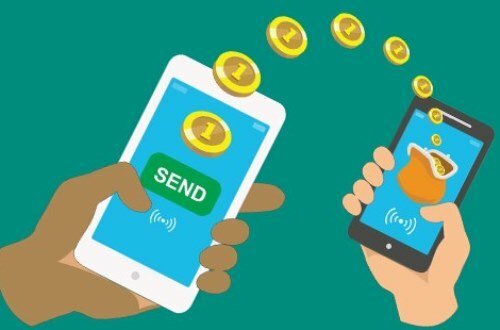 As discussed in the previous article, TerraPay allows people without digital wallet to receive fund. They just need to show and authenticate identity cars to cash out the funds. TerraPay is optimistic that these beneficiaries will eventually create their own digital wallet and join the wallet ecosystem. Thomas C. Brown also asked about her opinion on the importance of financial inclusion to the global economy. Ambar Sur is optimistic that mobile wallet will have positive impacts upon the economies. By providing the poor and unbanked people with access to financial services, TerraPay is broadening the base of financial inclusion. Access to financial services will eventually create opportunities for small entrepreneurs and home industries. This will eventually close the income disparities between groups. Income disparities may lead to social and economic unrest. The poor people will become poorer. Of course, mobile wallet services, like TerraPay, will not solve all the problems related to financial exclusion. Mobile wallet is only a strategy on how to solve financial inclusion by providing the poor with low-cost access. This provides the users with more chances to retain income as savings. On the other hand, enhancing financial inclusion means addressing related problems that lead to exclusion. They include rigid regulations, poor infrastructure for financial services, and many more. With mobile wallet, the payment industry contributes to building a platform for wealth creation from the grassroots.